Our RIBSMK Organza Mono Ribbon in Smoke Blue offers an easy way to personalize gifts and favors. The smoke blue color creates a unique look for shower gifts, flower arrangements, cards, and more. 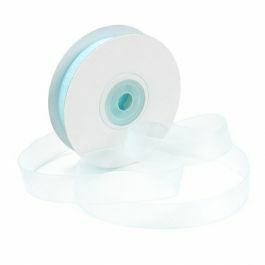 This 5/8" mono-style ribbon is made of sheer fabric with thin satin edges. Create a customized look for gifts and decor with the unique color of this smoke blue ribbon. RIBSMK is our 5/8" Mono Ribbon in Smoke Blue and is ideal for dressing up baskets, favor bags, flower bouquets, and more. The mono-style ribbon offers a shimmering texture and has thin satin edges. Made of 100% nylon sheer woven fabric. 25 yards per spool. 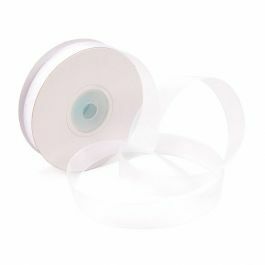 The primary use of RIBSMK Organza ribbon is to decorate gifts or tie up favor bags.